For patients with missing teeth, finding a permanent solution that restores health, function, and beauty can seem like a difficult process. Where traditional prosthetics easily slip out of place or require alteration to surrounding healthy teeth, dental implants secure restorations and provide superior stability and comfort. At Willow Glen Dentistry, Dr. John Vu and our dedicated team offer dental implant treatment in San Jose, CA. Contact us today if you have questions or would like to schedule an appointment. We take the time to discuss every option available to you, so you can make an informed decision that also meets your dental goals. Before beginning any implant procedure, our dentist conducts a thorough evaluation to determine if you are a good candidate for treatment. As part of our exam, we verify that you have enough healthy jaw tissue to support the successful placement of the implant. If the tissue is too thin or weak, we adapt our care plan to accommodate any supplemental surgeries. Bone grafting bolsters jaw tissue where it was once lacking so your implant post is fully supported. 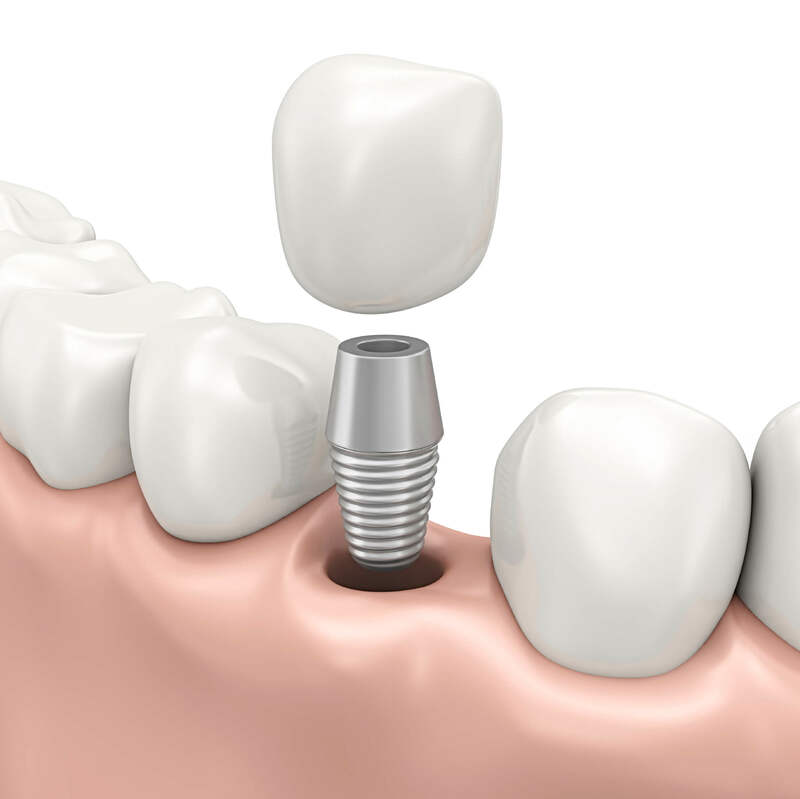 Our office also helps those patients looking to upgrade their traditional prosthetics with dental implants as well. Whether you want to secure conventional dentures that slip out of place or resorption has taken place, dental implants grant you a convenient solution. With extensive training and state-of-the-art equipment, Dr. Vu performs all phases of dental implant placement, from the extraction to securing your restoration. We utilize cone beam technology so the titanium post can be precisely placed and have the best chance for successful osseointegration. Once we complete the implant placement process, we allow you to heal and for the post to properly fuse. If you have multiple missing teeth, we offer an all-on-four option, which uses only four implant posts to secure up to a whole row of teeth. Dr. Vu finishes tooth replacement treatment by fitting an appropriate prosthetic. We work with a trusted local lab that custom crafts your restoration using high-quality material such as porcelain. Once it is complete, we secure the prosthetic to the implant post and provide you with comprehensive post-treatment care instructions so you can protect the health of your smile and the function of your new implants. Dr. Vu and our personable team at Willow Glen Dentistry take a comprehensive approach to oral health care, which is why we guarantee our work or provide you a full refund when having dental implants placed in San Jose or the nearby communities of Willow Glen and West San Jose. Call our office today to set up an appointment.